Sail magazine executive editor Charles Mason retired after 41 years with the magazine. Mason was a member of Sail&apos;s first editorial team. He was hired by entrepreneur Bernie Goldhirsh, who launched the publicationin 1970. Mason has worked on every issue since it debuted in February 1970. "Charles&apos; contributions to Sailinfluenced hundreds of thousands of sailors over four decades," publisher Josh Adams said in a statement. "His impact on the people of Sailgoes far beyond words in a magazine. Charles made us better editors, better publishers, better people." Sail, the Sail Buyer&apos;s Guideand their companion websites are owned by Source Interlink. Charlie Leighton, US Sailing&apos;s executive director, will retire in October. During Leighton&apos;s six-year stint as the national governing body&apos;s executive director, US Sailing significantly improved its foundation by achieving and sustaining financial stability. He recruited and developed a management staff that will lead the sport into the future. Leighton has been instrumental in maintaining the organization&apos;s mission of leadership, integrity and advancement of the sport of sailing, US Sailing said. "Charlie Leighton has had a brilliant career on and off the water. His service has been invaluable, and our sport is better as a direct result of his efforts. We will deeply miss his leadership and passion," US Sailing president Gary Jobson said in a statement. Leighton, 75, former commodore of the New York Yacht Club, was once chairman and CEO of the CML Group Inc.; a director at MetLife; and president of the Harvard Business School alumni council. He is a trustee of the Lahey Clinic. 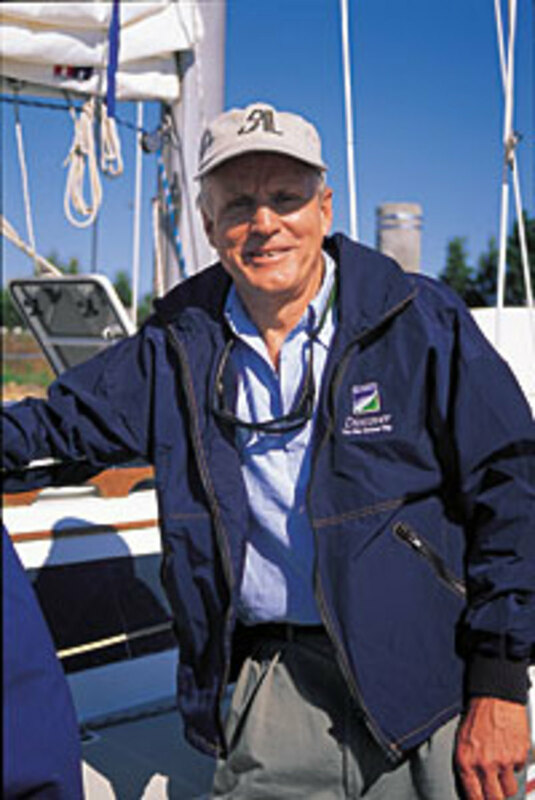 He graduated from Bowdoin College in 1957 and started the school&apos;s first sailing team. He later graduated from Harvard Business School. Leighton remains an active sailor and still races his 42-foot Hinckley, Whitecap. Leighton plans to continue as chairman of the Medalist fundraising program for the US Sailing team AlphaGraphics in a volunteer role.